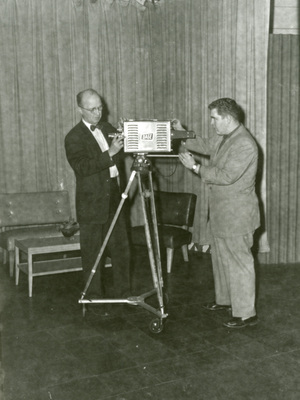 "1957 with Bob Davis inspecting TV camera"
"1957 with Bob Davis inspecting TV camera" (1905). Noteworthy People of UNI Photographs. 24.